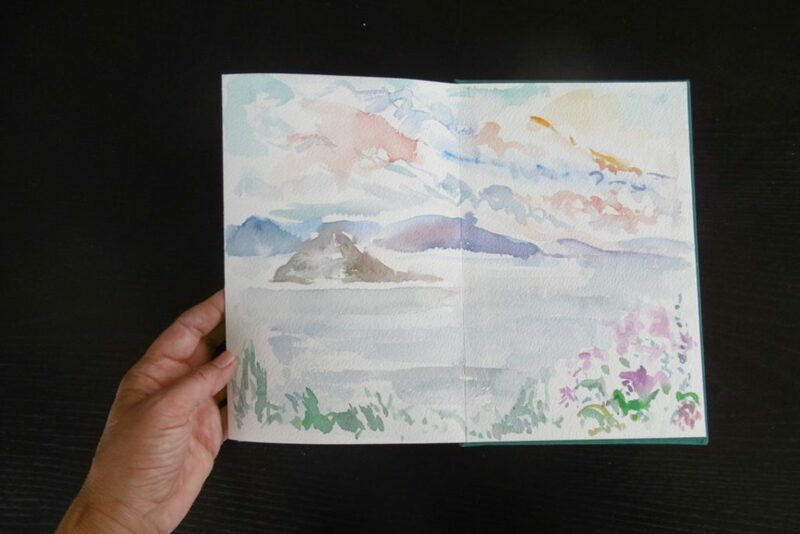 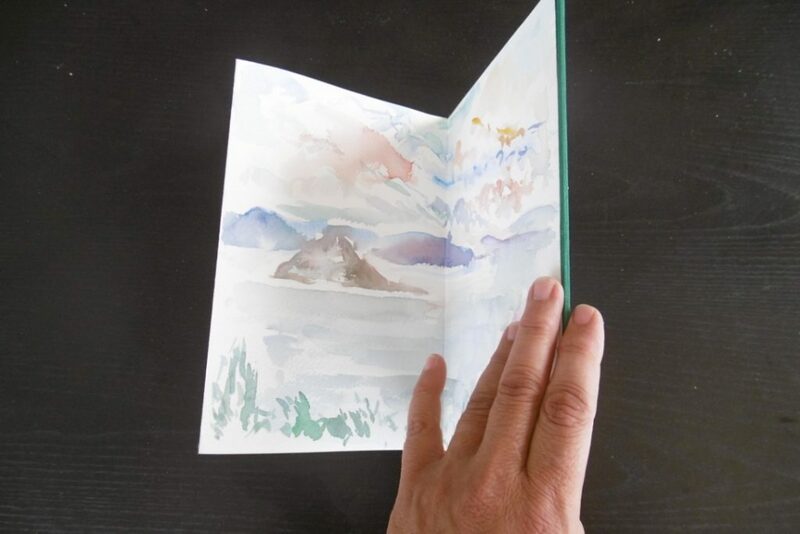 Unique concertina book with hard cover in green linen and 300 gsm watercolour paper, painted in watercolour on both sides, depicting the Greek island of Aegina and the Aegean sea at different times of day. 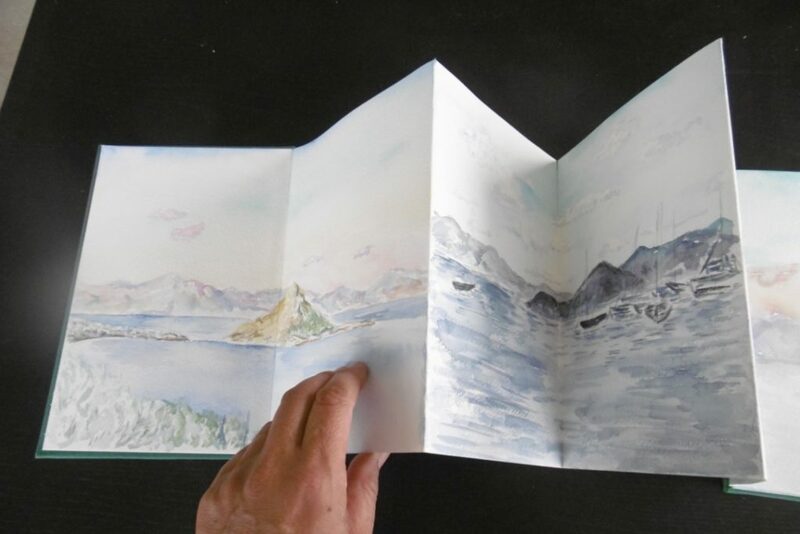 Fourteen pages: eight external panels unfolding on one side and six internal panels on the other side, each 24 cm x 16 cm. 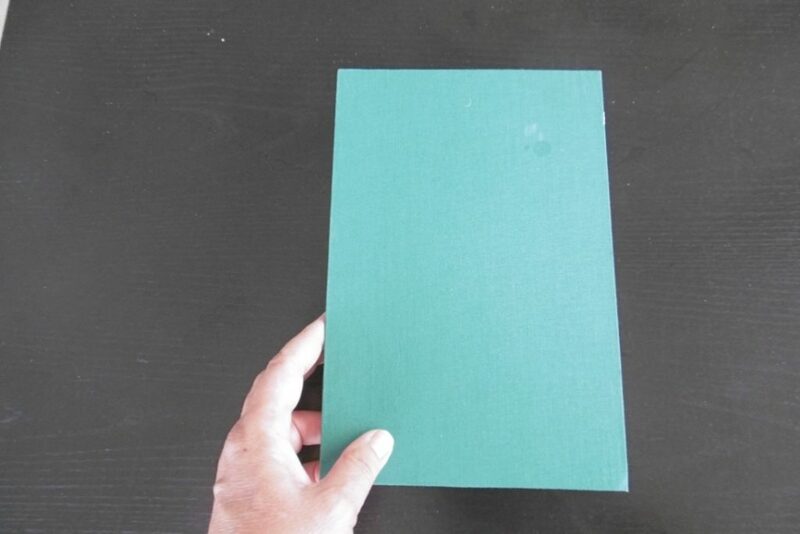 The book can also be free standing.